In this podcast, I sit down with Larry Wentworth to talk plugs. We chat about beat-up plug mojo, the intricacies of getting bass to bite in skinny water, and why everyone should be kayaking fishing for stripers. Check out Big Fish Bait Company on Facebook and keep an eye on that feed. Larry regularly lists his plugs for sale there. Or subscribe and listen on Apple Podcasts here. Bill thanks for coming by the shop! Had a great time talking with you that day! You have a real talent for podcasts keep up the great work and thanks for having BigFish Bait Co. on your podcast! 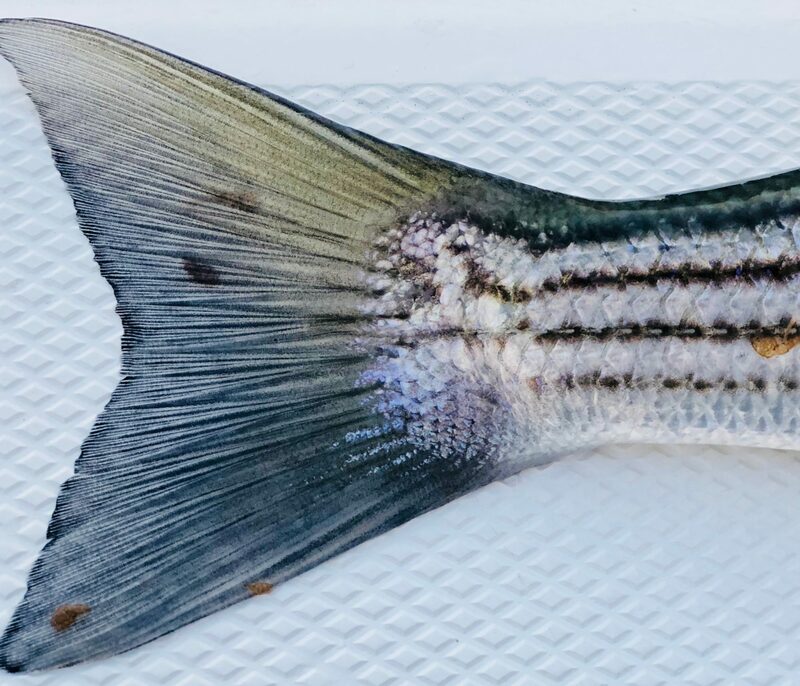 Given James’s level of performance as an angler, that means hundreds of stripers had the rude surprise that Larry’s lures didn’t taste as fishy as they looked. Great interview, it adds a whole new dimension to know the person who crafted our gear.